Booking to Dubai up to -70% off To take advantage of these offers, join now for free! Great savings on hotels in Dubai, United Arab Emirates online ✅ Visit the Wonderful and Huge Dubai with Voyage Privé. 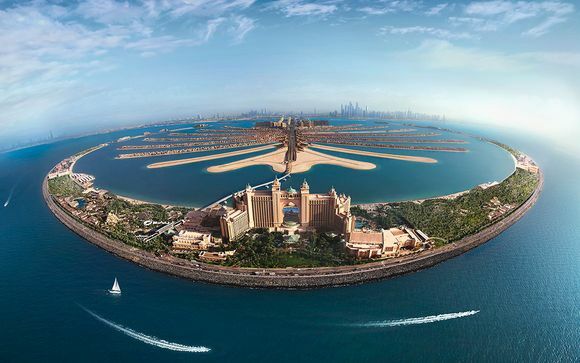 Do you want to stay in Dubai for your next trip? 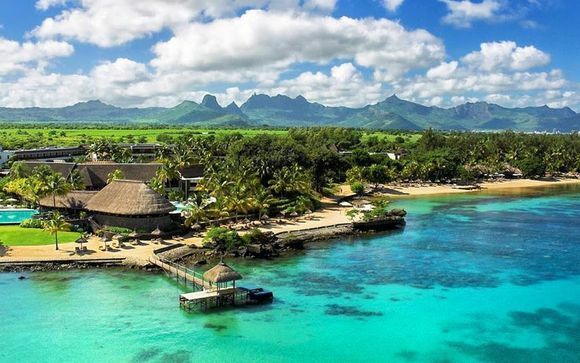 Here are our best plans to find the top hotels at the best prices. A gem in the heart of Barsha Heights. The service is second to none and the facilities unsurpassed. 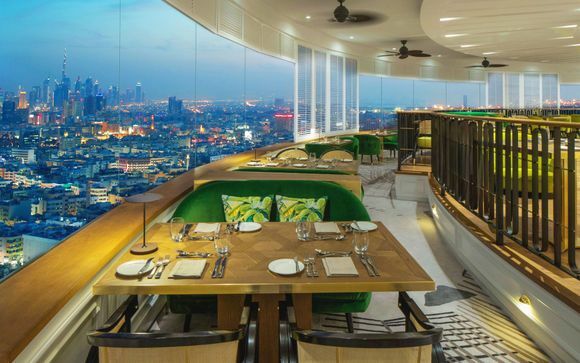 Dining ranges from British to Italian and everything in between, and theme nights add an extra dimension of entertainment to your holiday to Dubai. 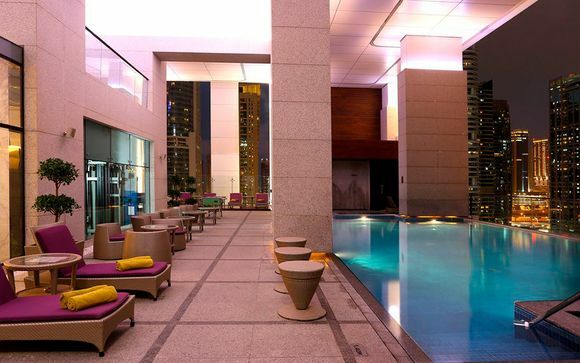 With wonderful waterfront views, this modern hotel is an oasis of cool in the heart of the hot city. The décor is sleek and chic and unique touches like the glass-walled baths make your trip to Dubai a splash more special. This luxury hotel lies close to the famous souks of Dubai, allowing travellers to absorb the local culture or indulge in some retail therapy. Relax and unwind at the spa or get your heart-rate up in the well-equipped fitness centre. The Grand Hyatt has no less than five unique and tempting restaurants. These include the Collective, which pulls together an eclectic mix of a café, a grill and a bakery for a fresh and exciting eating experience. 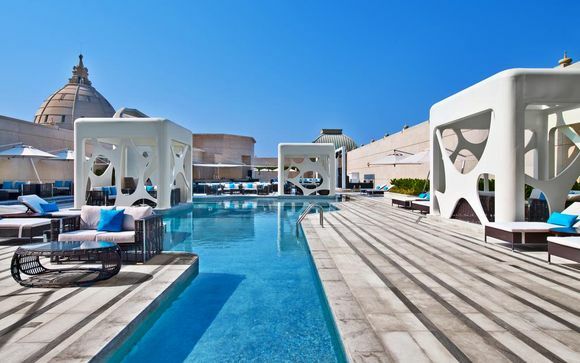 This contemporary hotel alongside Dubai Creek is famed for the breath-taking views from its rooftop pool area. Only 15 minutes away from top attractions like Burj Khalifa, the Festival City is a stylish spot in which to relax and plan your Dubai adventure. 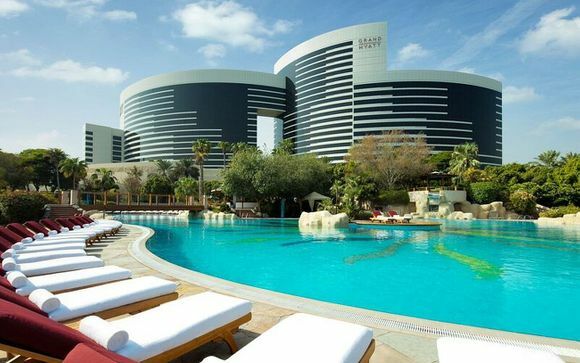 Our reviews on Dubai and its hotels: why make your booking there? 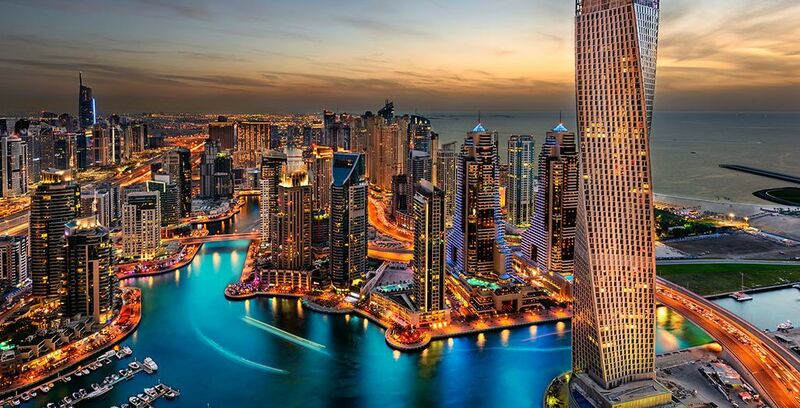 Dubai is the largest city in the United Arab Emirates and one of the top ten destinations in the world today. 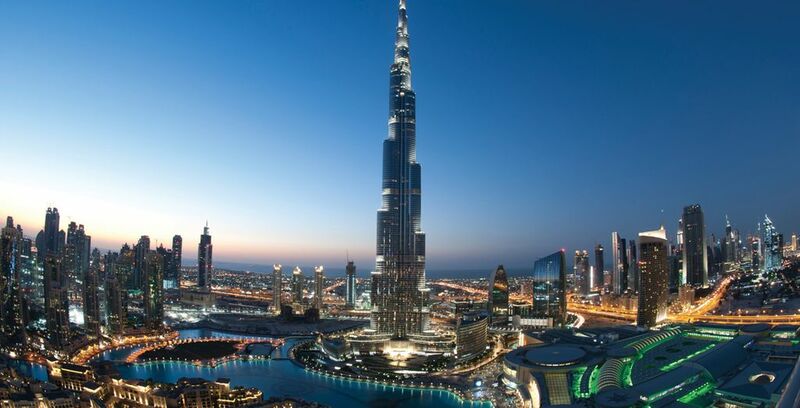 A city of records, Dubai is home to the world’s largest shopping mall and the world’s tallest building. This city likes life big, glamorous and enjoyed to the fullest. There’s plenty to enjoy for everyone. Many of our offers include exciting excursions which allow you to make the most of your holiday to Dubai. There are tours of the whole city, which explore everything from stunning beaches to sacred mosques. Couples can relax under the starry skies of the desert after enjoying the delights of Bedouin culture in an Arab camp. For families, there are some amazing attractions such as Legoland Park and Motiongate. To get access to our members-only offers, just register your details with us by clicking “Join for free today. Once you’re a member, you can click on any of our offers or flash sales to take advantage of the discounts and packages on offer. If nothing catches your eye, you can set an alert and we’ll let you know as soon as we have something available in your destination of choice. Voyage Prive members enjoy up to 70% off holidays to luxury destinations thanks to our dedicated team of travel experts. Membership is completely free, and our customer support team is always on hand to answer any questions you may have. Dubai is a holiday experience not to be missed. With stunning modern architecture and attractions standing proudly amongst ancient culture and religion, this city holds a wealth of experiences for the discerning traveller. 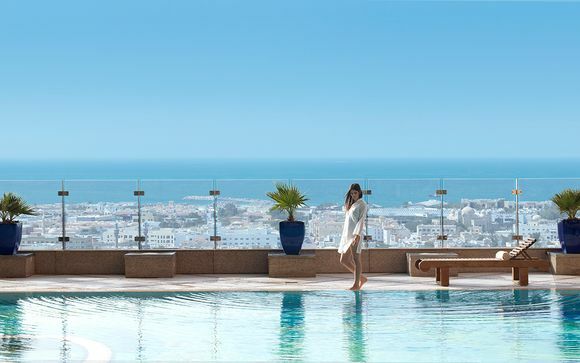 When you choose which luxury hotel you wish to stay in when you visit Dubai, you’ll be given the choice to choose flights which suit your requirements. If you wish to book your own flights, you can focus simply on choosing the perfect high-end hotel for your dream trip to Dubai. Cool and contemporary, Barsha Heights is a commercial and residential area buzzing with life. Hotels here are the perfect luxury base from which to explore the city. The longest road in Dubai runs parallel to the coastline creating a skyline view unseen anywhere else in the world. Modern, stylish hotels from which to enjoy this sight are in abundance. Many hotels stand along the bank of Dubai Creek, which separates the north of the city from the south. Staying here means you can take advantage of a dhow cruise and view the city from the water. The area around the iconic tower is home to some of the most photographed hotels in the world. Expect stunning architecture outside and opulent extravagance inside. 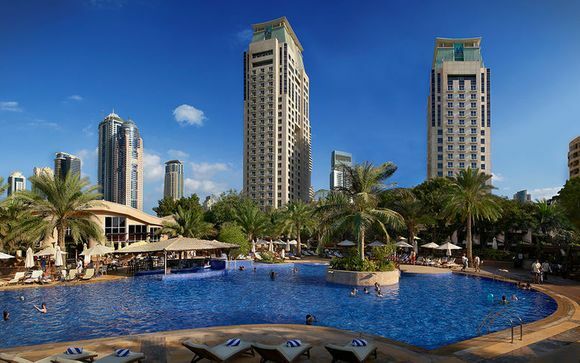 Azure water and white sand are the views you’ll expect from a hotel in the Jumeirah Beach area. Shops, restaurants, and the Madinat Jumeirah Souk are all highlights. Dubai is a city on the edge of the future. With plans to be one of most advanced cities in the world by 2020, technology is embraced everywhere in Dubai. The automated Dubai Metro looks like something from a science fiction movie, and even the architecture is futuristic. A trip to Dubai is like stepping forward in time. In contrast to this, the city still honours its cultural roots. Hospitality is given and received graciously. The religion of Islam is woven into the tapestry of daily life. Voices resound from the holy mosques at prayer time, and during fasting periods cafes and shops may close entirely during daylight hours. Out in the desert, traditional activities such as falconry and henna painting continue amongst Bedouin style camps, giving you a glimpse of what Dubai was like in the past. Although Dubai is associated with wealth and prosperity, there are plenty of things to enjoy on the average budget. Shopping is a favourite pastime in Dubai, and there are many wonderful places to eat and drink. The weather is always warm and welcoming, with the lowest average temperature no lower than 19 degrees. The tallest building in the world allows you to get a unique bird’s eye view from the viewing platform at the top. 160 floors span 828 meters of stunning architecture. Not to be missed. The world’s largest choreographed fountain stands in front of the famous Dubai Mall. A great family attraction with regular shows and a viewing platform. A souk is a traditional market where you can buy local goods and souvenirs. From pure gold to rich spices, Dubai’s souks are a treat for the senses. 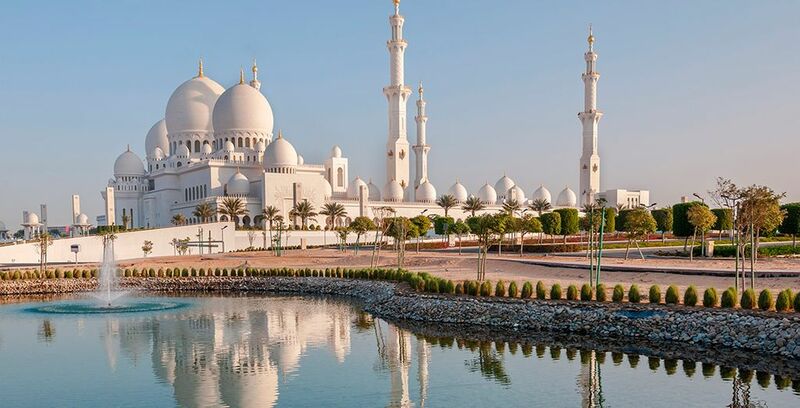 This beautiful mosque is a learning experience for respectful travellers curious about Islam. There are even tours just for the kids. Formerly known as the Bastakiya Quarter, Al Fahidi is a lovingly restored heritage district full of cafes, craft shops, museums, art galleries and even a section of the original city wall. Discover our deals to Dubai : Holidays, Deals, Last minute deals, Sun holidays, hotels in Dubai, all inclusive holidays in Dubai, Dubai travel guide/u>.